Energy poverty has emerged in recent times as a crucial aspect of poverty, afflicting the developing world in general and Nigeria in particular. 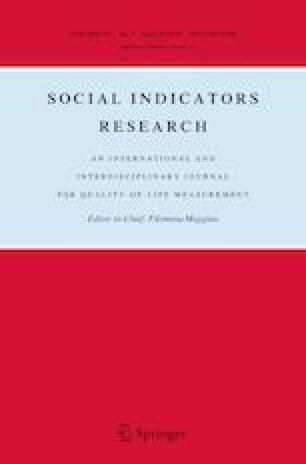 Drawing from some of the recent literature on energy poverty measurement, this study measures and discusses the incidence and determinants of extreme energy poverty in Nigeria based on a robust multidimensional energy poverty index that covers five major dimensions and six indicators of deprivation in basic energy services. The study uses the 2010 Harmonised Nigeria Living Standard Survey—obtained from the National Bureau of Statistics, Abuja, Nigeria—for its analysis. The results of the study show, among other things, that over a fifth of the Nigerian population are afflicted by extreme energy poverty and the phenomenon is more pronounced in the rural areas than in the urban areas as well as in Northern Nigeria than in Southern Nigeria. The results also indicate that the determinants of extreme energy poverty include region of residence, household composition as well as age, gender and educational level of household head. The Nigerian government should take urgent and adequate steps to eradicate extreme energy poverty in the country in order to pave the way for rapid and sustainable development in the country. IEA. (2015). Country analysis brief: Nigeria. http://www.eia.gov/beta/international/analysis-_includes/countries_long/Nigeria/nigeria.pdf. Accessed 10 Apr 2017. Robic, S., Olshanskaya, M., Vrbensky, R., & Morvaj, Z. (2012). Understanding energy poverty—Case study: Tajikistan. http://www.worldenergy.org/documents/congresspapers/339.pdf. Accessed 17 Jan 2015.